Embedding literacy and numeracy: What’s on your radar? What’s on your radar? If you are a trades tutor or involved with vocational training, you need to have literacy and numeracy on your radar. Good tutors and trainers have always embedded the literacy and numeracy that their learners need. However, this usually happens in what I call stealth mode. It’s hard to identify the specific literacy and numeracy that’s in your course if it’s in stealth mode. 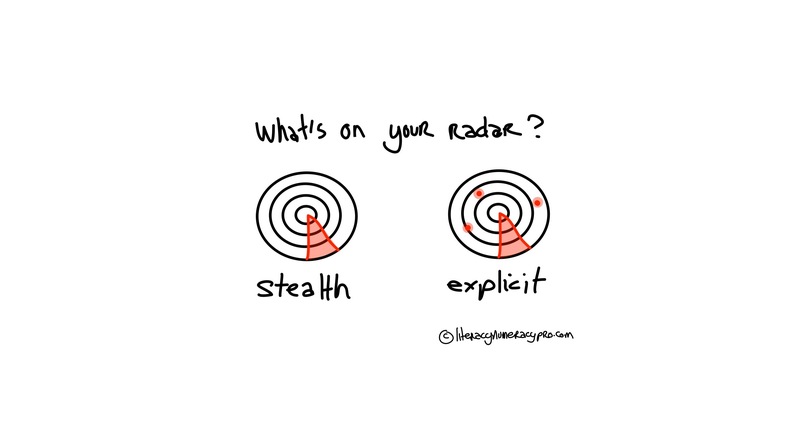 One of the first steps to get it out of stealth mode is to switch on your embedded literacy and numeracy radar. This means that you need to develop your own heightened awareness of the actual literacy and numeracy that already underpins your teaching and training. And to do that you need to think about your own particular context. You can develop these superpowers on your own. However, it’s easier if you get involved in some kind of professional development. Now you can do that online for free.